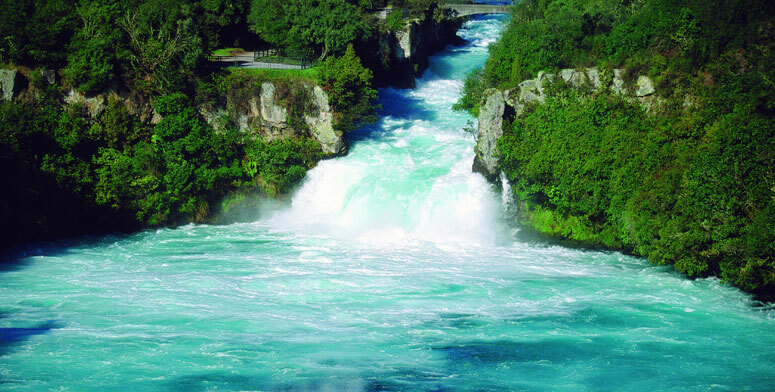 First stop on any sightseeing trip has to be the magnificent, thunderous Huka Falls – New Zealand’s most visited natural attraction! While 47 rivers and streams feed into Lake Taupo only one river drains it – the Waikato River. Huka Falls is a series of amazing waterfalls on the Waikato River, a place where 220,000 litres of water avalanches over an 11 metre rock face every second! You can take a jet boat ride to the base of the mightiest of the waterfalls, within a few metres of this awesome natural power or take a helicopter flight over the river and waterfalls - your pilot can get you very close and the roar of the waterfall is deafening and exhilarating! There are also many viewing platforms along the river, accessed by a short, easy walk. Since the late 1800’s, travellers from all over the world have been drawn to this region to ‘take the waters’ - bathing in the natural hot springs that abound here. Mother Nature’s own mineral ‘spa pools’ have a number of therapeutic effects and the water leaves skin oh-so-soft. Spend a few hours at this quality complex – there are private pools, acupressure jets, and a range of beauty treatments available such as geothermal mud-mask body wraps. The fiery volcanic activity at work deep underground has turned this area of native bush into an active geothermal field which is in a constant state of change. Boardwalks have been created to guide you safely around the area as sulphurous steam fills the air around you. The name says it all!